Stop me if you’ve heard this before. 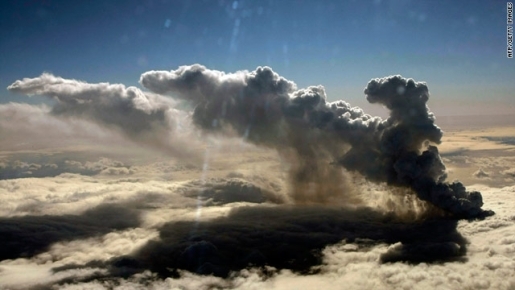 A powerful volcanic eruption in Iceland disrupts air travel across Europe. If it sounds like 2010 all over again, that’s because it is. However, there’s a small difference in that a different volcano is causing travel problems. This time, the culprit is Iceland’s Grimsvoetn Volcano, which erupted over the weekend. British officials fear that ash from Grimsvoetn may disrupt air travel. However, officials say a Europe-wide air travel shutdownprobably isn’t going to happen. Then again, didn’t they say that last time? I think they did. I could be wrong, mind you, but I remember something like that during the last volcano, before it got really bad a few days into the eruption cycle. I really hope that doesn’t happen (again), and while it seems as though it won’t, there’s got to be some fear there from European travelers, airlines, and other folks whose livelihood depend on our ability to soar through the air.